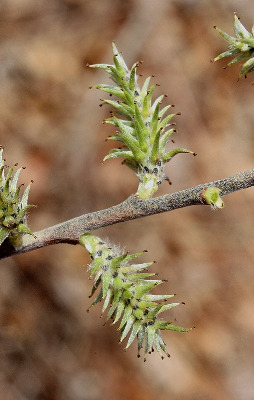 Usually in dry sandy or rocky ground, often with jack pine and oak, but sometimes on moist sites. In southernmost Michigan, plants smaller in every way (especially in the small, almost rotund aments), and also estipulate, are var. tristis (Aiton) Griggs. See also comments under S. discolor. MICHIGAN FLORA ONLINE. A. A. Reznicek, E. G. Voss, & B. S. Walters. February 2011. University of Michigan. Web. 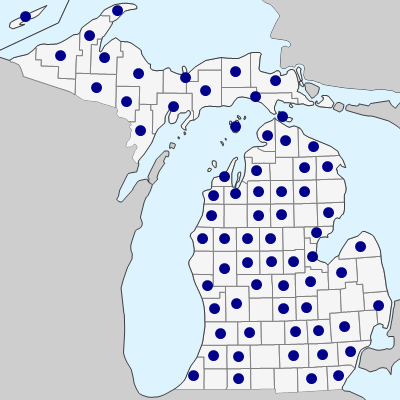 April 21, 2019. https://michiganflora.net/species.aspx?id=2629.